David Elsworth has been a leading light in the training ranks for nearly 60 years. 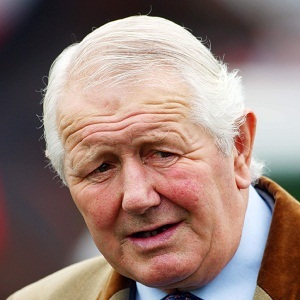 He is best known for the exploits of his National Hunt horses, including such as Desert Orchid, Rhyme ‘N’ Reason and Barnbrook Again, but he has also had his fair share of success on the level. His sole Classic success came when In The Groove won the Irish 1000 Guineas by three lengths before going on to land the Champion Stakes as well as the Coronation Cup the following year. The great stayer Persian Punch has also played a big part in the career of his trainer, having won numerous top-staying races including two Goodwood Cups, three Jockey Club Cups and one Doncaster Cup. In more recent years, he has had plenty of success with the filly Arabian Queen, who was a Group 2 winner as a juvenile before landing the Group 3 Princess Elizabeth Stakes on her return to action as a three-year-old. She also seemed to appreciate the step up to ten furlongs for the first time, as she finished third behind Legatissimo in the Qatar Nassau Stakes at Goodwood. She also handed Elsworth his first British Champions Series win when registering a shock victory in the Juddmonte International Stakes at York’s Ebor Meeting. The 50-1 shot held off the challenge of odds-on favourite Golden Horn to grind out a narrow victory.